Peritoneal mesothelioma is a ruthlessly aggressive killer that resists treatment and causes death rather quickly after diagnosis. It is a cancer caused by asbestos exposure and it develops along the peritoneum, which is the lining of the abdomen. A few months. That’s all the wife of a retired mechanic from New Jersey had after she suddenly fell seriously ill at the age of 56. The cause of her abrupt death was peritoneal mesothelioma, a deadly cancer caused by asbestos exposure. The homemaker and grandmother was one of the roughly 450 people who are diagnosed with peritoneal mesothelioma each year in the U.S. It is the second-most common type of malignant mesothelioma. The cancer forms along the peritoneum, which is the abdominal lining that supports organs and creates a pathway for nerves, blood, and lymph vessels in the body. 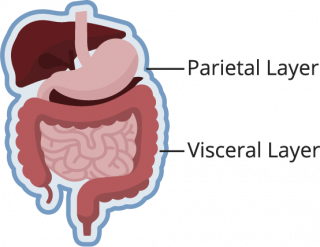 Peritoneal mesothelioma, which can grow on both layers, develops over time after a person inhales asbestos fibers that then migrate to the peritoneal tissue. Peritoneal mesothelioma forms as a tumor that grows as a thick coating in the abdominal cavity. Were you or a loved one diagnosed with mesothelioma? Call for a free legal consultation. She was his soul mate, his best friend, and his partner. She suffered greatly, as did he. Losing his wife caused unimaginable emotional pain and distress for the ex-mechanic from New Jersey. And the loss was made worse by the realization that his wife died because of jobs he worked in the early 1970s. The man made a living for four years working with brake components that contained deadly asbestos. Removing and replacing the brakes released asbestos-laced dust into the air. Some of the toxic dust would settle on his clothing and cling to it even after he returned home. When it was time to wash the clothes, his wife would shake off the dust before putting the garments in their washing machine. That’s how she was exposed to asbestos. This is just one way people encounter asbestos. Thousands of commercial products were made with asbestos and when a person cuts, sands, drills into, or disturbs these products in any way, lethal microscopic fibers become airborne. Any activity, work-related or otherwise, that causes release of asbestos fibers into the air is hazardous. It was Memorial Day weekend when she got sick. Because peritoneal mesothelioma can take decades after the first exposure to asbestos to develop, it was not until 2008 that she noticed signs of illness. She was hospitalized for stomach pain — a pain she thought was in some way related to the appendix she had removed as a teenager because the pain felt similar. It is not uncommon for people with the disease to mistake their symptoms for other ailments. After she arrived at the hospital complaining of stomach pain, doctors performed a computed tomography (CT) scan on the ex-mechanic’s wife, which showed intestinal blockage. Surgeons removed the blockage and sent a biopsy of the cells to a laboratory to be tested. The results revealed she had peritoneal mesothelioma. A biopsy is a relatively standard procedure for diagnosing peritoneal mesothelioma. Doctors may also perform a physical exam and collect a patient’s medical history, as well as prescribe blood tests. Tragically, cases of peritoneal mesothelioma have a history of ending the same way for patients as it did for the beloved wife and grandmother from New Jersey. Peritoneal mesothelioma remains an incurable killer. Doctors may recommend treatment to try to control symptoms or slow the cancer’s growth. Four types of standard treatment include surgery, radiation therapy, chemotherapy, and targeted therapy. Depending on your situation, each type of treatment can be done independently or in combination with one or more of the other treatments. Weitz & Luxenberg does not provide medical advice. It is up to the patient and his or her doctor to decide which treatment options are best in any given situation. When treating peritoneal mesothelioma, doctors may combine a type of surgery called debulking with heated intraperitoneal chemotherapy (HIPEC). During this procedure, surgeons remove all visible tumors and then heat and pour a mixture of anticancer drugs directly into the abdomen to kill remaining cancer cells. Although this treatment can result in better outcomes, peritoneal mesothelioma is known to defy treatment and bring death fairly soon after diagnosis. As time passed following the New Jersey woman’s death, her surviving husband’s sorrow turned to anger against the makers of the asbestos-containing products he once used. Like thousands of others, the man turned to Weitz & Luxenberg for help. A personal injury law firm that specializes in asbestos litigation, Weitz & Luxenberg has a long history of taking on asbestos companies and achieving justice for victims. 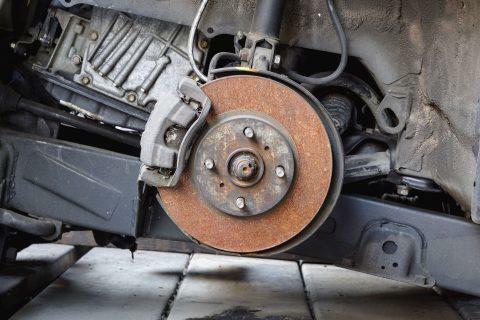 In this case, we obtained for the widower a sizable settlement from several past manufacturers and suppliers of automotive brakes. An Illinois postal worker developed mesothelioma. He asserted that he was exposed to asbestos while using certain products during his work duties. The jury agreed. This is just one example of the exceptional legal support we provide our clients. Although our past results do not guarantee future success, you may want to consider our track record when evaluating our law firm. Weitz & Luxenberg attorneys are caring and supportive throughout the process. We understand the pain and suffering that preventable asbestos exposure has caused so many families. It’s time to hold negligent companies accountable. To learn about your legal options today, call (877) 516-9192 or fill out a form online.